This a compilation from the original article in Ecomonic Times on September 24, 2016 by Asheesh Sharma, Jt. Secy, Ministry of Skill Development, Govt of India & Manish Sabharwal, Member, National Skill Development Mission, Govt of India. Most Indian employers don’t know the work of Nobel laureate Peter Diamond’s work on search costs in labour markets. But they live it every day. One of their biggest problems is hiring people at the bottom of the pyramid: hiring people with 0-2 years of experience. Finding such a workforce has become the corporate equivalent of kissing 100 frogs to find one princess. This wasted effort arises from the problems of matching (say, a youngster with skills in Kanpur connecting with an employer hiring in Bengaluru), mismatch (say, someone skilled on paper but with different skills than what the employer needs) and low signalling value (résumé of skilled kids not strong enough to get shortlisted for interviews by employers). Solutions may lie in the work of last year’s Nobel Prize winners Lloyd Shapley and Alvin Roth. They suggest that equity markets that clear on price are different from matching markets like college applications and recruitment that clear on information. India’s new apprenticeship regime breaks with a painful past created by the rigid Apprentices Act in 1961. We only have four lakh formal apprentices. If we had the same proportion of our labour force in apprenticeships as Germany, we would have 15 million apprenticeships. And we have only 30,000 employers appoint apprentices. This number is 1,75,000 for Britain. India’s new apprenticeship regime involves many changes: amendments to the Act to make it flexible, making apprenticeship stipends eligible for corporate social responsibility (CSR) spending, introduction of on-the-job training in industrial training institute curricula, and shifting ownership from the labour ministry to the skills ministry. The new (NAPS) will provide financial support to employers for engaging apprentices with a budget of 10,000 crore. This aims for a 10-fold increase in apprentices by 2020. In process are a national portal and smartphone app for matching apprentices and employers, setting up apprenticeship corporations by state governments, and linking apprenticeships to online education. China’s labour force is declining while India’s increases by 10 lakh workers every month. China’s farm-to-non-farm transition happened to factories for exports. India’s fastest growing job roles are sales, customer service and logistics. Also, India doesn’t have the equivalent of a Chinese New Year weekend on Diwali, Eid or Christmas when 250 million people buy a train ticket to head home because we have not taken people to jobs on that scale. In supply, the ‘degree premium’ in India is being replaced by the ‘skill premium’. This year, the bottom 20 per cent of engineers will get less salary than the top 20 per cent ITI graduates. Unemployable graduates is not a uniquely Indian problem. The world produced more graduates in the last 35 years than the 700 years before it. Consequently, 60 per cent of taxi drivers in South Korea, 30 per cent of retail sales clerks in the US and 15 per cent of high-end security guards in India have college degrees. The case for employers engaging apprentices is strong: taking employees for a test drive, ensuring training is functional and firm-relevant, judging soft skills, lowering attrition, creating a pipeline for talent, lowering per-hire cost by lowering rejection rates, etc. and he gets the job, is productive but leaves. The three risks of hiring, productivity and attrition have created a financing failure in which employers are willing to pay a premium for trained candidates but not pay for training. Which means employers have not been able engage with the National Skill Development Mission with the numbers that policymakers expected. This can change because apprenticeships offer a solution for the broken model for bottom-of-pyramid hiring. But this will only happen if skill development is seen by employers as core to their growth and productivity rather than CSR or philanthropy. At a recent job fair where employers were only hiring experienced people, a frustrated fresher said, You tell me that you will not give me a job without experience. How do I get experience without a job? This chicken-and-egg problem plays itself out on a daily basis for lakhs. The only way out of this is to become vegetarian: do something completely different. One hopes that employers are paying attention. 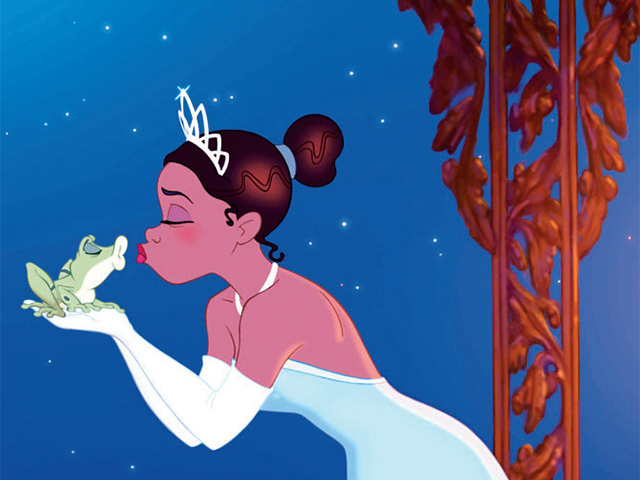 Because we know they are tired of kissing frogs to find their princess. ...... if there are no other distortions in the economy (e.g. externalities), if firms are characterized by constant returns to scale and if the government can set the vector of indirect consumption taxes independently of production prices then it is optimal to have productive efficiency in the economy. This implies that there should be no taxes on intermediate goods and imports. The key idea is that when the government can control all consumer prices, the producer prices are disconnected from the consumer prices and the consumption decision part of the optimal taxation problem becomes independent of the production decision. This page was last modified on 26 September 2016, at 02:25.